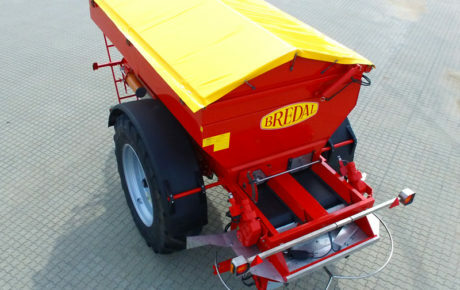 Available in 3.00m and 3.50m rigid models as well as in 4.00m and 5.00m models with hydraulic folding for a transport width of 2.48m. 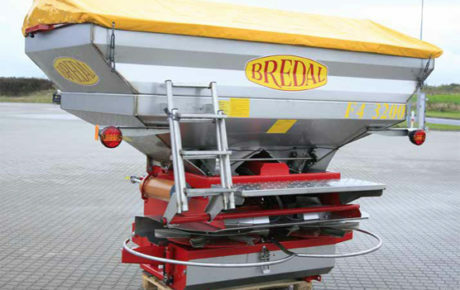 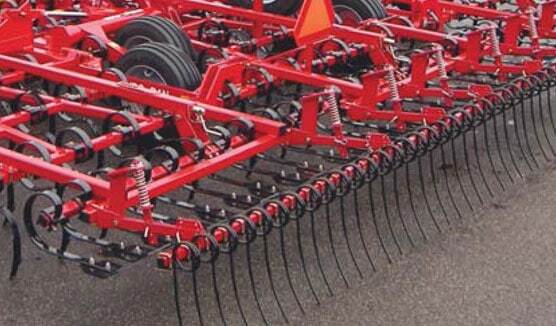 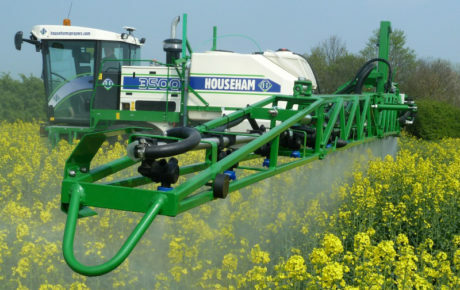 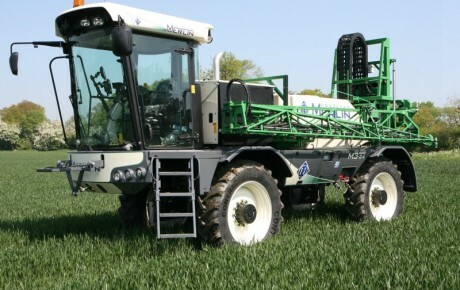 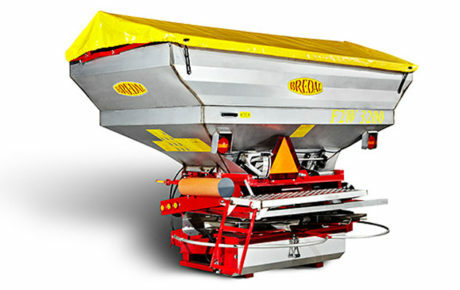 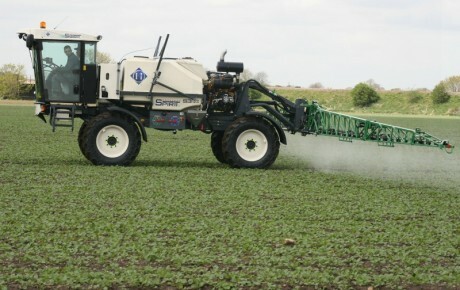 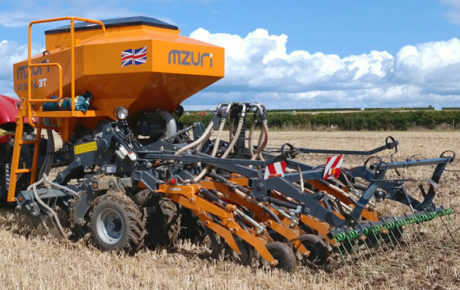 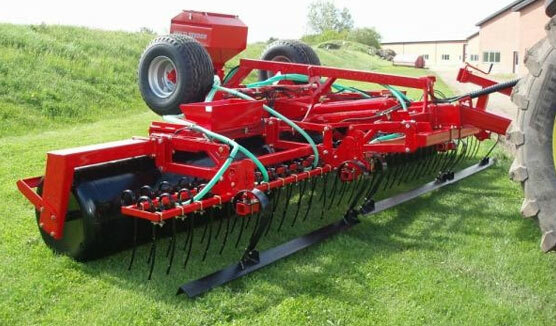 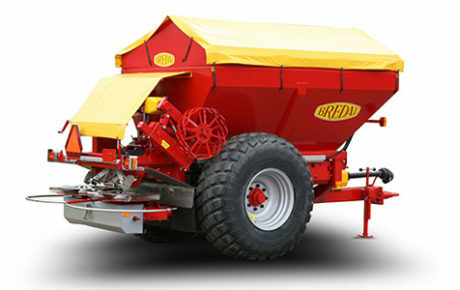 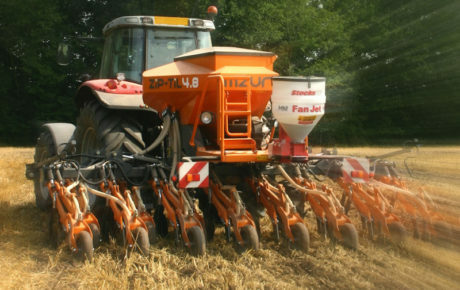 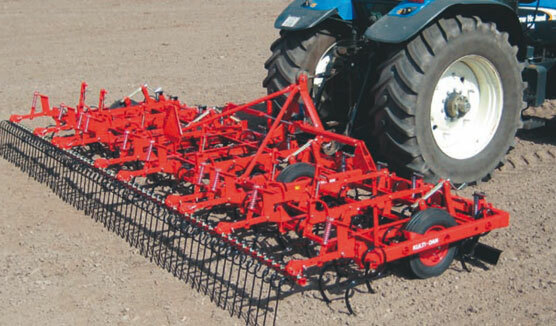 All models are available as three-point mounted or trailed models and have a row spacing of only 250mm. 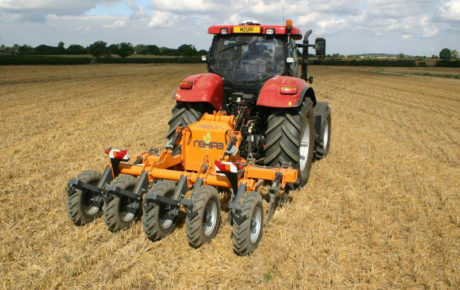 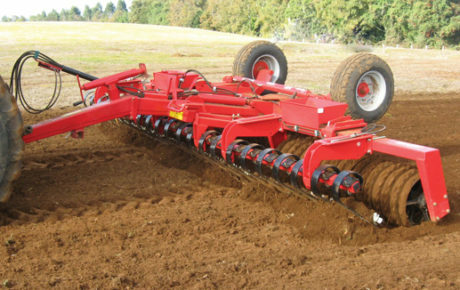 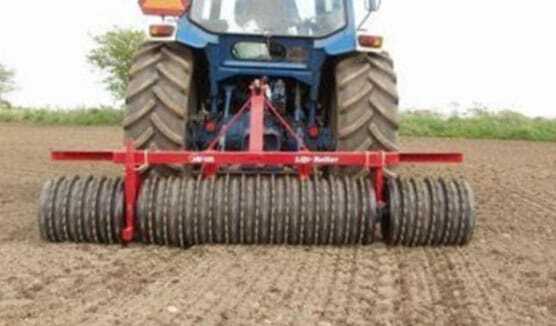 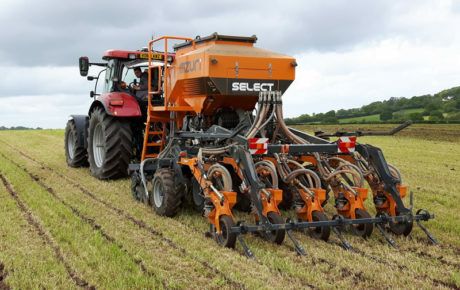 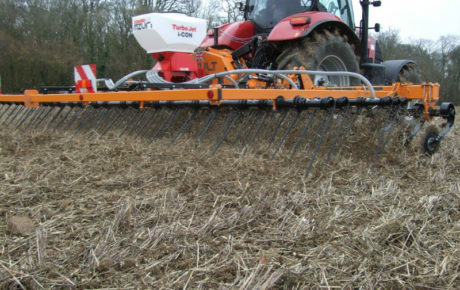 This stubble harrow with 3 rows of harrow sections has a very good clearance with 850mm frame height, 750mm tine spacing and 700mm bar spacing. 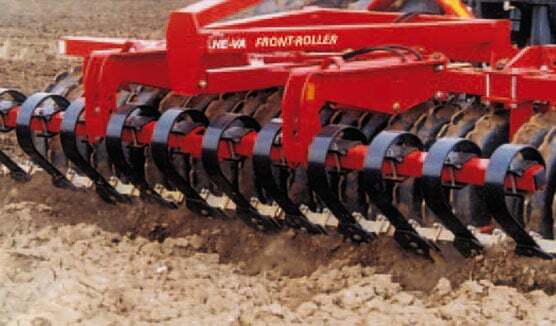 As standard the Triple-Tiller is available with 75×12mm reversible and height adjustable wearing point and mechanical spring release with double spring, preloaded for 455kg. 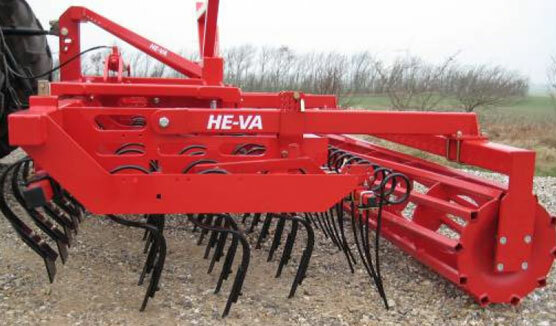 As extra equipment, a “quick change system” is available with a mounting of chisel point or 260 mm wide wing share. 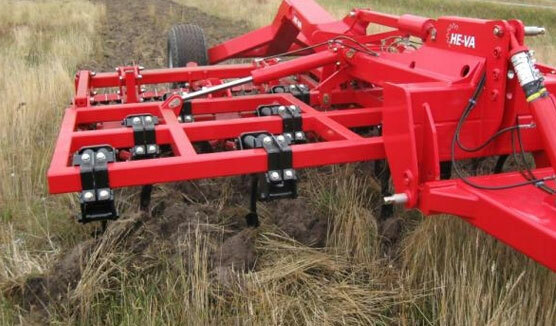 After the harrow section, centre spindle adjustment of levelling tines is mounted. 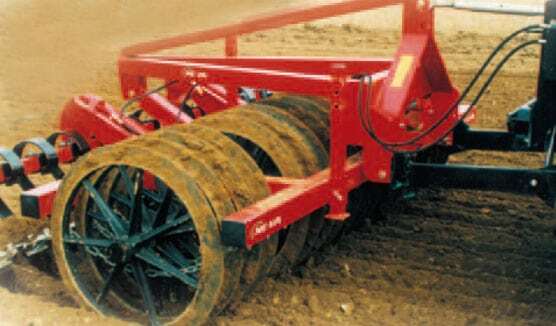 Centre spindle adjustment of scalloped eradicator discs can be chosen instead against an additional price. 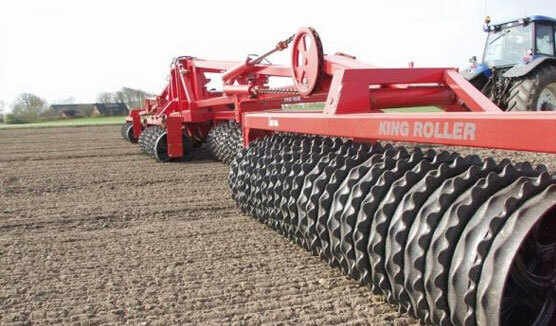 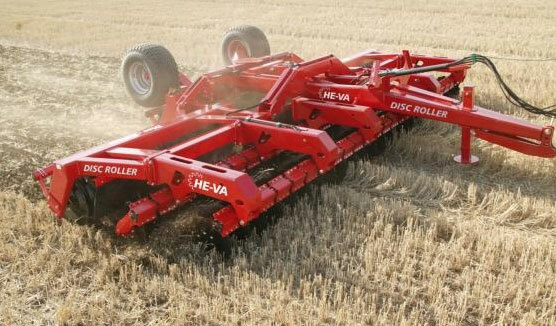 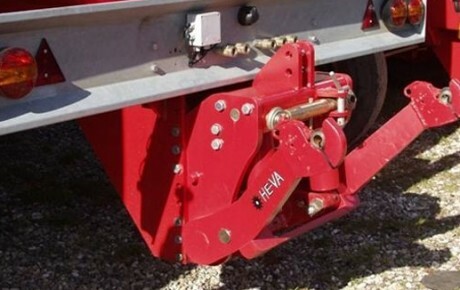 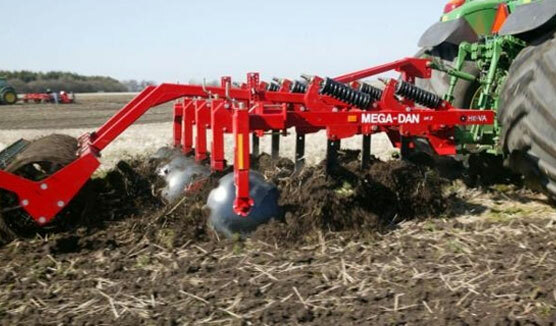 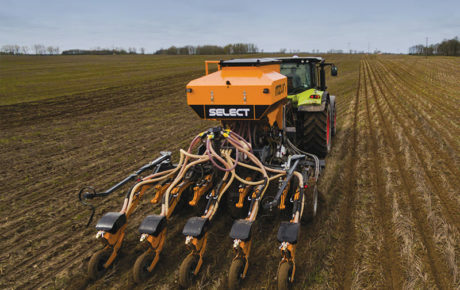 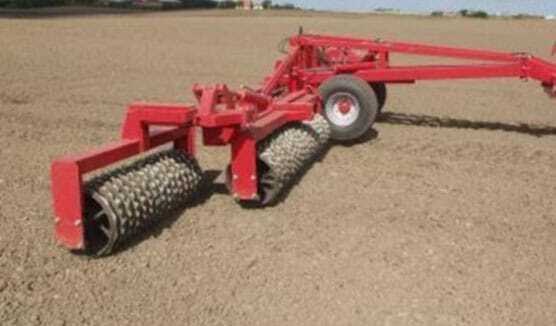 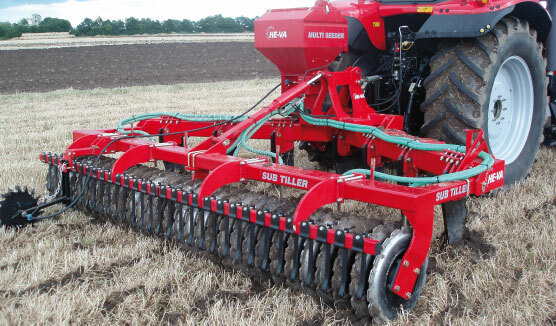 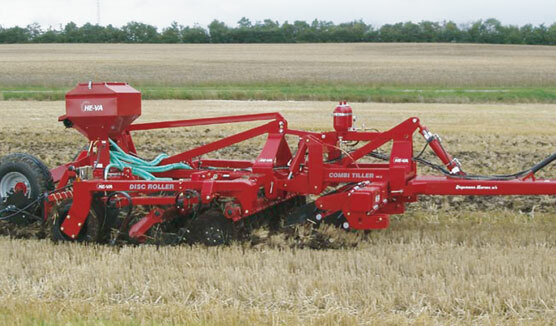 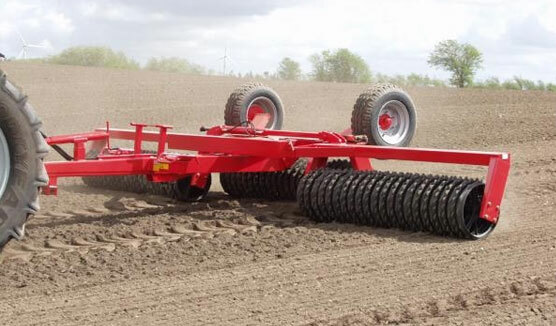 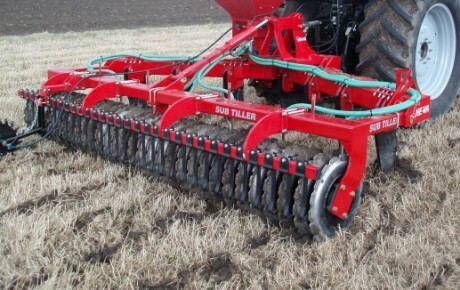 The Triple-Tiller is available with ø550mm Square tube roller, ø600mm T-Profile roller or with HE-VA’s well-known ø600mm V-Profile roller.